husband, dad, teacher, writer. i am a stay at home dad using family,friends and intuition to make sense of this world. these are my reflections. It is only fitting that after writing a post about ‘public praise‘ that I should receive two award nominations in one week. Oh, the irony. 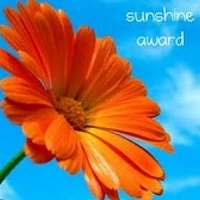 Thank you Valerie R Lawson for the Sunshine Award nomination and thank you MommyNot Friend for the Versatile Blogger Award nomination. I will say that it is really cool to have my blog noticed. There are many reasons that I blog, and one of those is to have other people read my words, think about them, and create dialogue. I thank both of you for being a part of my blog by commenting, and now by recognizing it in this way. The person who nominated Valerie, Laura Stanfill, provided some questions of her own for Valerie to answer, and I am going to take those questions too. What’s a go-to meal you make on busy weeknights? Burritos for adults and Quesadillas for kids. Favorite thing to do in your free time? Free time, free time, free time…I’m gong to say that that is time away from our kids. I enjoy playing frisbee golf, listening to music, running, writing, and collecting “things”. Favorite season? Fall. I love the first day that pants are needed and sweatshirts can be zipped up. I met and married R. in the fall. I also enjoy football season. Favorite magazine? SPIN and The Week. Favorite author? Albert Camus. “The Stranger” is my all time favorite book. Favorite teacher (and why)? Dr. Smethels. He taught Astronomy. I sat next to a good friend of mine in his class and he would “blow our mind” daily. He also took his V neck sweater off at the same point in the lecture every class. He was a bit odd, but engaging and interesting. AP Style, Chicago Style, neither, or a mix of both? Read my blog – you’ll see that I prefer IW style. Do you prefer reading short stories or novels? Good question. With two young kids short stories are preferred, but there are few things like finishing a novel. Great answers, and thanks for using my questions. What is IW style? You have piqued my curiosity! Thanks. IW stands for “Idiosyncratic Wind”. It is the name of my blog before Papa Sense – I didn’t follow any rules of grammar at that time. It’s a style I like, but have grown to understand the reasons for punctuation and capitalization. I always appreciate people with their own style guide. My favorite newspaper job used a house style that was based on AP, but not entirely beholden to it. Wait a minute! Laura Stanfill, the knitter/writer from Portland, OR? I wonder if it the same amazing Laura who used to be my neighbor. Congrats to all! Thanks for nominating Me vs Gavin! We love to share our antics as papa and son! Stay tuned for more zany good times! Thanks for the nomination! THose ten questions looked good to me, so I borrowed them. You Learned What? At School?